In the past six months, the Islamic State has killed 1,878 people in Syria, mostly civilians, a British-based Syrian monitoring organization revealed in its report, adding that the "real number killed by ISIS is higher." As many as 1,175 civilians, 930 of whom are from al- Shaitaat tribe in the eastern countryside of Deir Ezzor, were executed by beheading, shooting or stoning. These included four children and eight women in the provinces of Deir Ezzor, al- Raqqa, al- Hasakah, Aleppo, Homs and Hama, according to the Syrian Observatory for Human Rights (SOHR). The Islamic State (formerly known as ISIS/ISIL) also put to death 120 of its own members, most of them killed during attempts to return home, for “exceeding the limits in religion.” Over 500 officers and soldiers of the regime forces, who were arrested during clashes between the IS and the regime forces, also came to be executed. The rights group meanwhile notes that the real number of people that had been killed by the IS is higher than the number documented because "there are hundreds of missing and detainees inside the IS jails, loss of communication with about a thousand men of al-Shaitaat tribe, as well as because there are dozens of Kurds who have still been missing since the beginning of [the] IS attack on the countryside of Ayn al-Arab [aka] ‘Kobani’ in September 16." 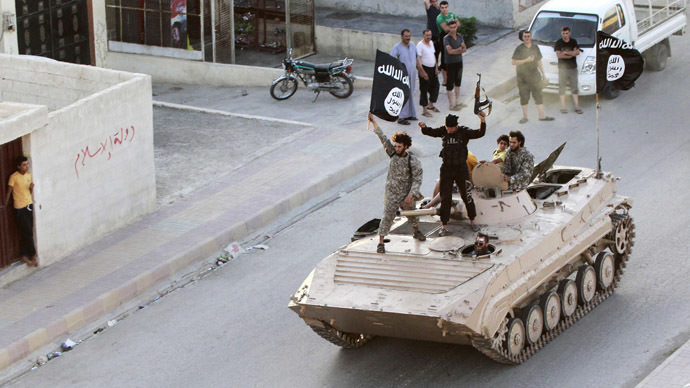 The militant group has taken control of vast parts of Iraq and Syria and declared a caliphate in June. Since then it has fought against the Syrian and Iraqi governments, as well as Kurdish forces. ISIS, an offshoot of Al-Qaeda, made blood run cold when it began to release shocking videos of executions of captured enemy fighters, activists and journalists. Earlier this year the group beheaded two American journalists, as well as one American and two British aid workers, to demotivate the US-led international coalition, which has been bombing fighters in Syria since September. Last week a 14-year-old Syrian boy wearing a vest full of explosives decided to turn himself in to Iraqi guards. The teenager, who was recruited by the Islamic State and forced to convert to radical Shiite-hating beliefs, said that a mission to bomb a Shiite mosque was his only chance to escape militants. Meanwhile, volunteers wanting to join the Islamic State have been coming to the region from all over the world. According to the Soufan Group and the International Centre for the Study of Radicalization, the total number of foreign fighters in Syria currently stands between 11,000 and 12,000, with about 3,000 of them from the West. France, Germany and the UK are said to account for the largest number of citizens fighting with militants in Syria. This includes those not with the IS, but who are also battling against the forces of President Bashar Assad.